UK has unveiled the first images from a new satellite which can see through clouds and image the Earth round the clock to help stop oil spills and illegal shipping. 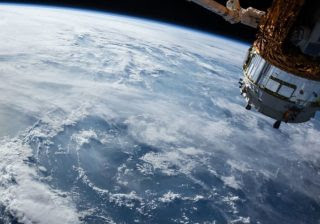 NovaSAR-1, the first Synthetic Aperture Radar (SAR) satellite made in the UK, can detect oil spills in the oceans, help spot suspicious shipping activity and monitor the effects of deforestation. “This ‘eye in the sky’ can capture an image a dozen times wider than the Strait of Dover and the data it provides can help crack problems from illegal shipping to alerting us to damaging pollution that needs to be countered,” Sam Gyimah, Science Minister, said. The satellite’s dedicated maritime mode allows it to monitor an area of ocean 400 km wide. This allows ships to be detected by radar and compared with their ship tracking data, with discrepancies between the two highlighting potentially illegal activity. Launched in September, the satellite tests a new platform for low-cost satellite imaging. The government invested GBP 21 million to assist the development of NovaSAR-1 and will benefit from access to its data, significantly boosting the UK’s Earth observation capabilities and providing data to start-ups at the Satellite Applications Catapult in Oxfordshire.